Just a quick announcement to share that I’ll be on 938 LIVE this Tuesday, Dec 11 2012, on The WOW Club hosted by the very lovely Michelle Martin! 😀 WOW stands for Women of Worth and this is where Michelle interviews inspirational women who have great stories and lessons to share. This is my first time on WOW segment and I’m very excited that Michelle has invited me to be on the show! 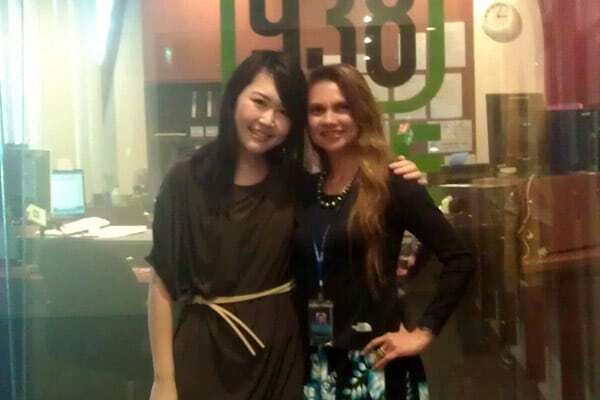 For those in Singapore, tune in through radio 93.8FM. For those not in Singapore, you can still listen to the show! Simply login to the 938LIVE radio page during the day/time itself, and you’re set! Update: The interview is now over! I had a really great time speaking with Michelle today and she has created the space for me to pack as much value as possible within the 1-hour interview (about 25 minutes minus commercials and traffic reports). Listen to the recording in my media section. Special thanks to 938LIVE for allowing me to share the recording link on the site. Hope you guys will find it useful! 🙂 I certainly enjoyed my time with Michelle!